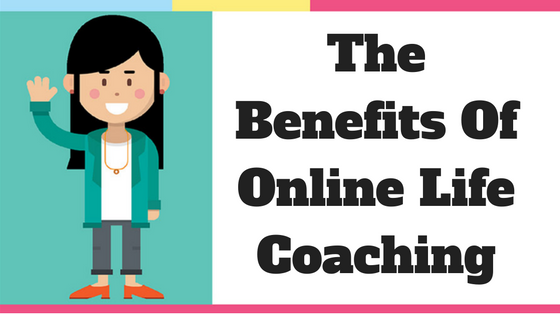 You’ve probably heard of online therapy, well, online life coaching is a similar concept in the sense where you are getting the help that you need online or over the phone, instead of face-to-face. So, why choose an online life or career coach? Continue reading below to figure out why online life coaching is a life saver. One of the greatest benefits of online life coaching by far is the global access to all kinds of talent and resources that you can get. In fact, hiring an online life coach means that you don’t have to be limited by your location. Being able to enlist the services of anyone from anywhere in the world is a big plus for all those who live in places where the best talent in terms of life coaching might not be available. Noomii, the professional online coach directory, has hundreds of coaches to choose from around the world. Get in touch with us and we can even match you with a coach that best suits your needs. Lots of people—myself included—might feel nervous, embarrassed or somewhat self-conscious about going to see a life coach. Online life coaching can break that emotional barrier and allow you to be yourself while seeking the help that you need in order to achieve your life goals. With our ever-so-busy lives, it’s hard to find time to go see a life coach after work or during break hours. A jam-packed schedule has become more and more common for both men and women of our generations, online life coaching is the most convenient solution. It also makes it easier for working people to go home and schedule a session after dinner when they are relaxed at home and truly motivated to make changes. That way their session can start and finish while they are in the comfort of their armchair or couch. Online life coaching can be a more affordable option for many people. This is mainly due to the fact that it completely eliminates travel expenses and it reduces or eliminates the possibility of income reduction for people who work by the hour. Sometimes we need advice or support the most when we are faced with unfamiliar situations, perhaps in unfamiliar places. While you’re going through the process of changing something in your life, you might find that you need to talk when you’re not scheduled for a session. Maybe you need to go over a couple last minute things before a job interview or you need some support after a meltdown at work. Life coaches want to be there to support you when you need it and if the coaching is done remotely, it is much easier to offer that support between sessions. While it’s unrealistic to assume your life coach will be there for you every waking hour, knowing you can reach out to them over the phone, on Skype or through email instead of waiting to meet in their office at your scheduled time can be support in itself. That being said, online life coaching might not be suitable for everyone. Indeed, certain people, especially those with traditional mentalities might not be comfortable with the idea of hiring a life coach from a different country or culture. Likewise, a lot of people prefer the feel of personal interaction with a life coach.